Kargil Army Open Rally Bharti 2018 A good chance for all Qualified Applicants Who need to join to Srinagar Indian Army. ARO Srinagar Army has published a Bharti information for the post of Soldier Nursing Assistant, Soldier Clerk (SKT/IM), Soldier General Duty, Soldier Technical, Soldier Tradesmen. So Excited Applicants who Full did 10th or 12th Class can apply application form online through official web Portal on Joinindianarmy.nic.in On or Before last date form 23 April To 06 June 2018. All interested applicants are suggested to go on Kargil real Govt job information provided below before applying the wants Posts. Soldier General Dut 17 ½ to 21 years. Age for recruitment in TA 18 to 42 years. Height for TA – 160 cm. Weight for all above categories should be 48 Kg. (a) 10th or 12th pass with a minimum of 45% marks and not less than 33% marks in every subject. (b) In case the applicants are Graduate, then there is no requirement of minimum percentage for Class 10th. Still, cut waiver for applicants having passed an important qualification is applicable only for the total marks in class 10th but 33% marks in different subjects mean necessary. Note: 33 % is not fit for additional subjects. (a) 10th and 12th pass out with Physics, Chemistry, Maths, and English with min 45 pct Marks / C2 Grade in aggregate (of all subjects). (b) 10th class pass out with minimum 50% numbers in aggregate if 3 yrs Diploma in Engineering from an AICTE accepted institute. for Soldier Nursing Assistant: 12th pass out with these subject Physics Chemistry, Bio, and English with 50% marks in aggregate and 40% marks in every subject. Soldier Clerk/ SKT: 12th pass in with any stream with 60% marks in aggregate and min 50% in every subject. Should have studied and passed English and Maths/Accts Book Keeping in Class X or Class XII with 50% marks in every subject. Soldier Tradesmen: 10th and for few trades 8th pass. Havildar Education Group X: Any post-Graduate degree (MA/MSc/MCA or BA/BSc/BCA / BSc (IT) ) with BEd. Havildar Education for Group Y: BA, BSc, BCA, BSc (IT) degree holder without BEd. Survey Automated Cartographer: BA/BSc with Maths and must have also passed 12th class with Maths and Science. Junior Commissioned Officer Religious Teacher: Graduate in any method. In expanding requisite qualification in his own religious value. 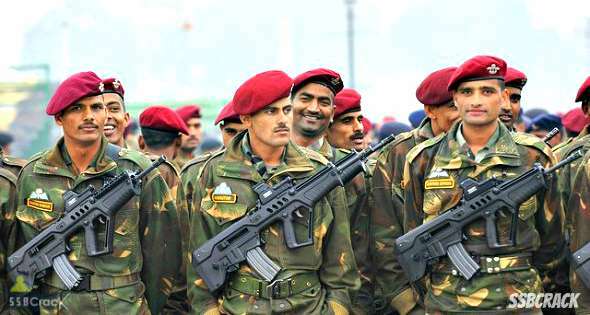 Originally, applicants must visit the official web portal of Indian Army –www.Joinindianarmy.nic.in. To apply for Kargil Army Bharti 2018 new applicants need to fill the enrollment form first.